Two years ago, I completed a book, Bright Lights of the Second City: 50 Prominent Chicagoans on Living with Passion and Purpose. As a lifelong interviewer of accomplished individuals, writing the book was a professional pinnacle. It introduced me to the personal histories of 50 renowned Chicagoans, including Apollo 13 astronaut James Lovell, jazz great Ramsey Lewis, and broadcast legend Bill Kurtis. Soon after my book was published, I read a post on Oprah.com titled “5 Breakthroughs You Can Learn from These Visionaries.” The piece, packed with a couple of fascinating video clips, sprinkles nuggets of stellar advice delivered in neat, concise but totally believable little packages. They exemplify the kind of inspirational cheerleading messages that can help us breathe more easily — if we remember to follow them when, for example, we’re panicking about whether (1) our new project is as viable as we first thought, (2) our problem-solving approach is actually making said problem more manageable, or 3) our new take on a classic situation will appeal to anyone but us. Read the Oprah.com post to meet celebrity stylist June Ambrose, cellist Zoe Keating, and Jad Abumrad, cohost of WNYC’s Radiolab. They each contribute insights that can stimulate us to live our lives more creatively . As a small-town girl of seven years old in suburban Philadelphia, my favorite day of the week was Tuesday. On that day, I eagerly dressed up in my Brownie ensemble, consisting of a freshly ironed, cocoa-colored, short sleeve shirtwaist dress, a brown cardigan sweater, and knee socks — all topped off with a beanie. 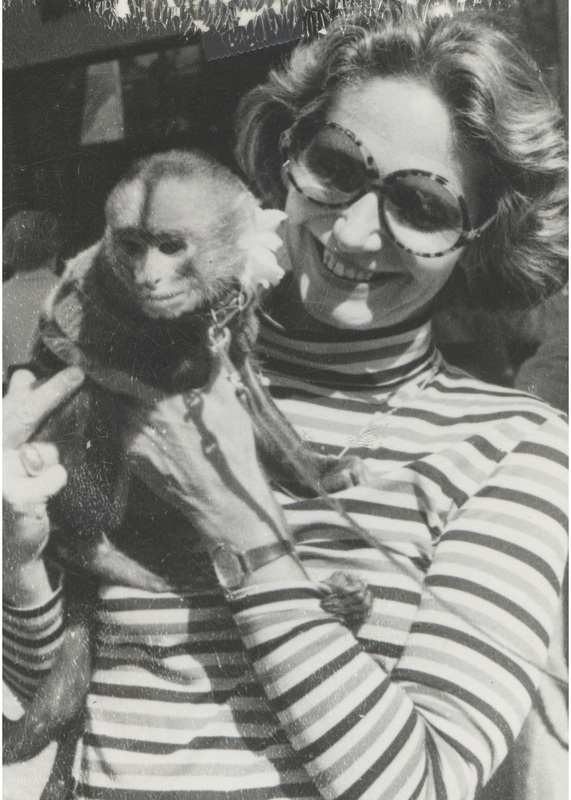 My mom, Jean Storm, “modeling” for one of my Dad’s freelance writing assignments. Best of all, my mom was my Brownie leader. A few years after we started Brownies together, I graduated and became a full-fledged member of the Girl Scouts of America. Not a particularly warm and maternal type, my mother nonetheless believed she had a duty to serve as a community leader, which included sheparding a group of 20 girls through the scouting process. Because of her natural organizational and people skills, Mom was an ideal scout leader. Looking back, I consider my scout troop to be my first community outside of the nuclear family. We worked in teams, depended on each other, planned excursions together and sold cookies — quite competitively, as I recall — to earn money for our activities. A sense of teamwork and partnership emerged, and in today’s parlance, our self-esteem blossomed as a result of this camaraderie. Like many girls, however, I dropped scouting in junior high school. It was “uncool,” or so I thought. Most significantly, however, scouting still evokes in me vivid and fond memories of precious hours shared with my mom. She set an example for me that I never forgot, one that I eventually emulated. Nearly 30 years after I donned my first uniform, I organized a Brownie troop for my daughter, Katie, when she started first grade in a suburb north of Chicago. I was a troop leader for three years. We even won an award for being one of the top cookie sellers in our district one year —a thrill for the girls (okay, I admit it, for me too). Clearly, scouting created a lasting impression on me. I learned many of life’s essential skills in those weekly meetings — how to make new friends, work cooperatively, complete projects and meet goals (again, those colorful badges were a powerful incentive). As life progressed, I continued to appreciate the strong foundation that scouting prepared for me, with my mom at the head of the trail. Many of us have fond and funny childhood memories of our family cars. Here’s mine. (Please feel free to share your own as a comment on this post.) I’d love to hear it. I grew up in a family with a split personality. My parents led double lives — 50 percent of their drive time was logged in a station wagon, but on the weekends, they (and my sister and I) hit the open road in a series of great-looking convertibles, including a fire engine red Mustang, an ice-blue Camaro, and a buttery-yellow Buick LaSabre. Driving in a ragtop is one of life’s simple but divine pleasures. Even before the top goes all the way down, a surge of excitement punctuates the air. My most recent convertible, christened “Jazzy,” is synonymous with some of the most enjoyable family time I recall from childhood. 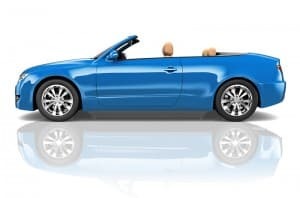 Growing up in the back of a convertible makes you a little bit tougher than the average 12-year-old. A gentle, soft-spoken man, my dad brooked few complaints about the, shall we say, degree of “breeziness” in the back seat. To maintain some semblance of a hairstyle, my mom, sister and I donned scarves or hats; for warmth, we stowed our coziest sweaters in the trunk. The radio played Frank Sinatra or Tony Bennett, and our dog traveled to hog heaven (make that “canine” heaven) as her long caramel-colored ears whooshed in the wind. These memories created lasting impressions. As I write this, I can sneak a peek out my home office window at the cranberry-hued Mitsubishi Spyder Eclipse in our driveway. And even though he’s long gone from this earth, I can visualize my father at the wheel… headed down a rural byway, Connecticut bound. 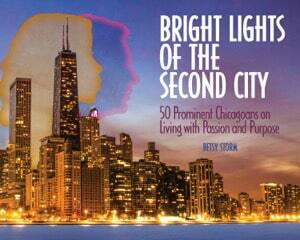 Click here to find out about my book Bright Lights of the Second City!